We have one working 1 inch type A machine, an Ampex VR5103 (PAL), and several spare parts. We can deliver your digital files in any of the following formats: FFV1 lossless, Apple Quicktime .MOV in any codec, 10 bit uncompressed (recommended), AVI in any codec; any MacOS, Windows or GNU/Linux filesystem (HFS+, NTFS or EXT3). We are skilled at treating tape that has been damaged by mould, so even if you are unsure of the condition you are welcome to send it to us for assessment. 1 inch type A is, first and foremost, an incredibly rare video tape format. It’s so rare, in fact, that it often gets left off video tape identification lists, obscured by the type C format, that was widely adopted in the broadcast world. As a very early video tape format there is greater likelihood of binder deterioration, signal drop outs and other physical damage. If you do have any video tapes on this format, you need to get them transferred right away. Type A uses an omega wrap method. This means it has one video record/ replay head mounted on a wheel that rotates inside a stationary drum. There is then a slit inside the drum that divides it into two sections, and the head protrudes through the slit. To run the helical scan path the tape is wrapped around the drum at almost 360 degrees, forming the shape of the Greek letter Ω. The tape appears to climb up the tape drum and turns upon itself to thread out. The fact that old tape has to run a fairly long way through the threading path, manoeuvring sharp angles as it travels, increases the risk of damage to the tape during playback. The other problem is machine obsolescence. Before we transfer any open reel tape we re-spool it on a different machine. This reduces wear and tear on working head drums. This is not really an option with the type a format, as we only have one working machine available. This already places strain on our limited resources. 1 inch type A It was mainly used in industrial and institutional contexts because it did not conform to existing broadcast standards. The Ampex Corporation introduced 1” Society of Motion Picture and Television Engineers (SMPTE) type a videotape in 1965. It was one of the first standardized helical scan reel to reel video tape recorders in the 1” width. In the US it had greatest success as an institutional and industrial format. It was not widely adopted in the broadcast world because it did not meet Federal Communications Commission (FCC) specifications for broadcast videotape formats—it was capable of 350 lines, while the NTSC standard was 525, PAL and SECAM were 625. In terms of its technical design, Type A machines had limitations which meant they were not adopted in in the broadcast context. The main issue was Type A did not record the vertical blanking interval, i.e., the time between the end of the final line of a frame or field and the beginning of the first line of the next frame. This compromised the quality of the video and ultimately led to the development of the SMPTE approved Type C format in 1976. 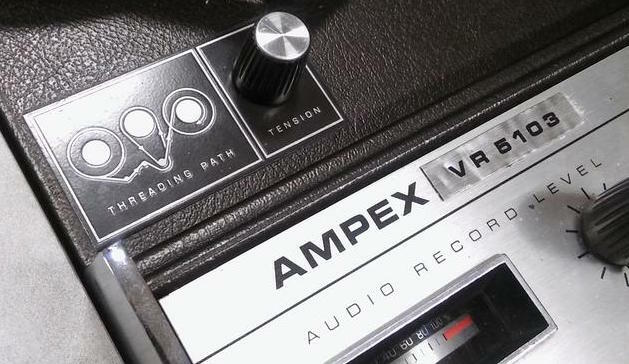 A list of Ampex type A machines can be found here.